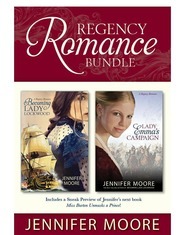 A fabulous addition to the Edenbrooke series! I read "Edenbrooke" 2-1/2 years ago and loved it! It got me interested in reading Regency romance again. I was excited to hear that this book was coming out. This story is told from Philip's point of view. We learn what his thoughts were of society at the time and some of the women that he was running from. We also get his POV when he first meets Marianne and it was awesome!! I love, love, love this story and thought it was over way too soon. As soon as I turned the final page, I reread "Edenbrooke" because I needed more of Philip and Marianne. It had also been way too long since I last read it and I fell in love with it all over again! If you love clean regency romance and haven't yet read "Edenbrooke," it is a must read! This would be fun to read first since it ends near the beginning of "Edenbrooke." I am definitely looking forward to more from Julianne Donaldson in the future! Edenbrooke by Julianne Donaldson is one of my favorite novels, so I was very excited for the opportunity to review the prequel novelette, Heir to Edenbrooke. I loved it! You know going into it that it will be short (hence being a novelette). However, the length and where it ended didn't bother me because I had Edenbrooke handy on my Kindle app and I started reading it again as soon as I finished Heir to Edenbrooke. Philip is such a wonderful character! I really enjoyed getting to know him a little bit better, and it was fun seeing things from his perspective. I devoured Edenbrooke years ago and couldn't wait to get my hands on this little gem of a novella to get a glimpse into Philip's head. I wasn't disappointed. Of course, I wish it was longer, but I enjoyed every minute of it and now I really want to re-read Edenbrooke. I believe there are always two sides to a story and learning the background to Philip's life really helped me understand why he does some of the things he does. I found things to be humorous at times, but I also felt an undercurrent of loneliness, which really endeared him to me all the more. If you haven't read Edenbrooke yet, and love a good, clean, Regency, pick it up and be sure to read this one as well so you have a better understanding of the entire story. Oh my goodness! I loved the way that Julianne Donaldson wrote this novelette! I love that the whole thing is from Philip's perspective. You see just how he becomes the Heir to Edenbrooke, but I love that you also see the scene from Edenbrooke in the inn. It was so fun for me to see that scene through his eyes. Julianne Donaldson did a great job writing this novelette, I was amazed at just how well she wrote from Philip's perspective. And, of course, it's completely clean! I was so sad to finish it and have no more to read. Hoping for more from this great author soon! I LOVED IT! Be aware that this is truly, as marked, a prequel novelette. Meaning it is short. Perhaps three to five chapters (I'm not sure because I had it on autoread). But if you keep that in mind, it is fabulous! Getting into Philip's head, seeing his motivations and the backstory to the scene where he meets Marianne made so much sense. It was so fun experiencing that scene from the other side, and made me like Philip even more than when I read Edenbrooke, which was a lot. Donaldson's writing is exquisite, and worth every word. Of course, I wish it were longer--I would have liked to see the ball from his point of view--but overall, this was enough to understand his character more. This prequel is a MUST for anyone who loved Edenbrooke! *I received a complimentary copy for my honest review. I had been looking forward to reading this since I heard it was going to be released. Julianne is an amazing author, and I was excited for even a small glimpse back to Edenbrooke. I enjoyed getting to know the man that Phillip was before he met Marianne and what he had to put up with beforehand was frustrating. I loved the scene at the ball, I was laughing to myself at the "mis-steps" of the young ladies. I really appreciated seeing Marianne through his eyes, and the realization Phillip comes to when he first meets her was refreshing. Very entertaining novelette by Julianne! I received a MOBI copy from the publisher in exchange for an honest review. Great but I wish there was more.